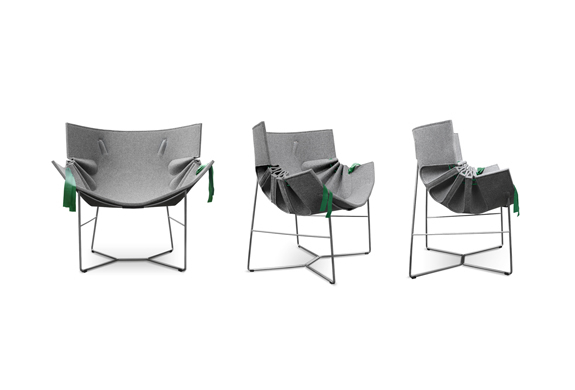 As is clearly evidenced by its complex stitching and folding, the Bufa Chair by MOWOstudio is one inspired by tailored attire. 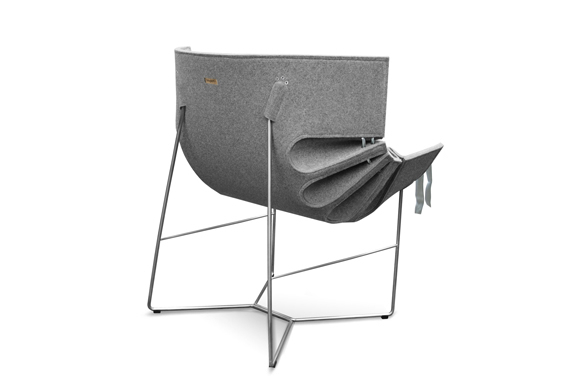 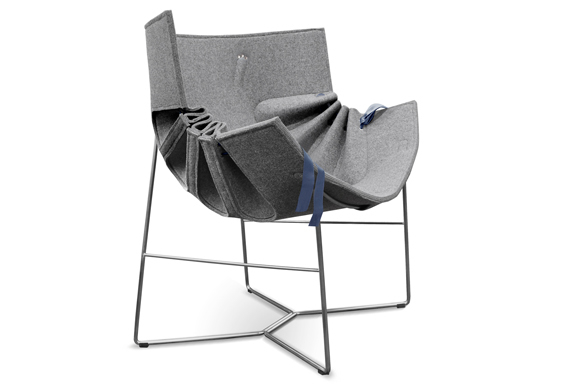 This felt and stainless steel chair is a welcome entrant into the world of modern furniture. 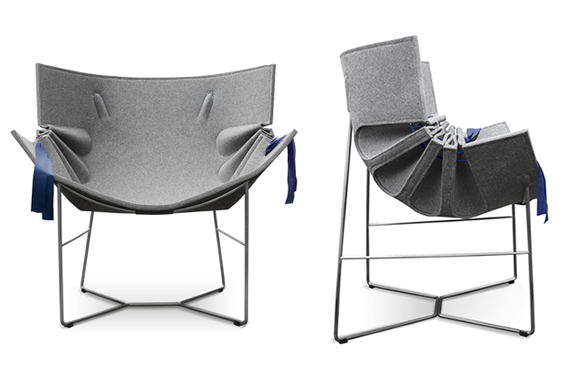 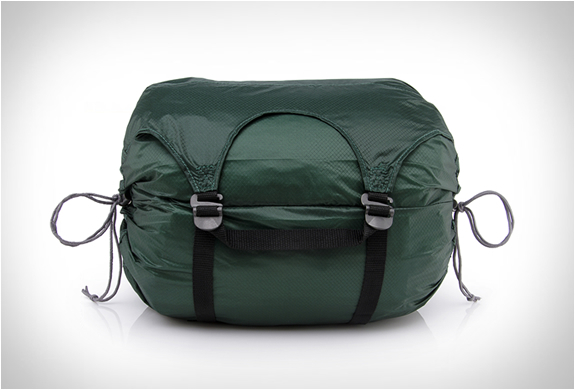 Carefully folded felt sides threaded together with a loose-hanging rope make the Bufa the first of its kind.